I started to become fascinated by harvestmen after someone asked me to take some photos of these funny little creatures for his collection. Soon after, I decided to buy a guide to help me identify the species and to get some background information. My life as ‘Opiliophile’ could now officially start! Whether or not you believe in the concept of synchronicity, the next day I had the funniest experience. In the morning before I went to work, I picked up a small plastic tape dispenser from the floor. It fell the night before but I had forgotten to pick it up. 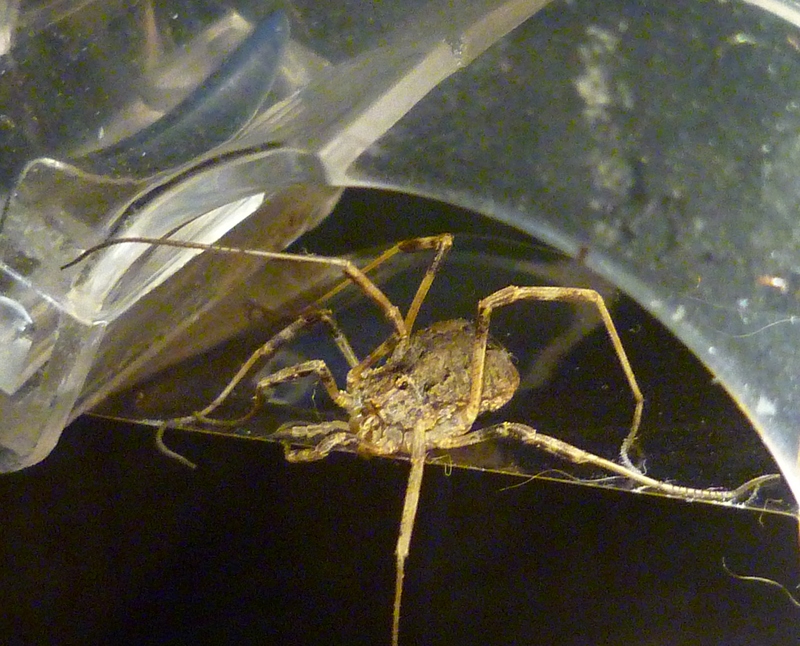 And what did I see: a harvestman sat stuck to it! And even better, it was a species that is quite rare in the Netherlands: Odiellus spinosus. Apparently I have some nice species running around on the first floor of my own house, it is only a matter of placing traps! Yes little one, we got you on tape. 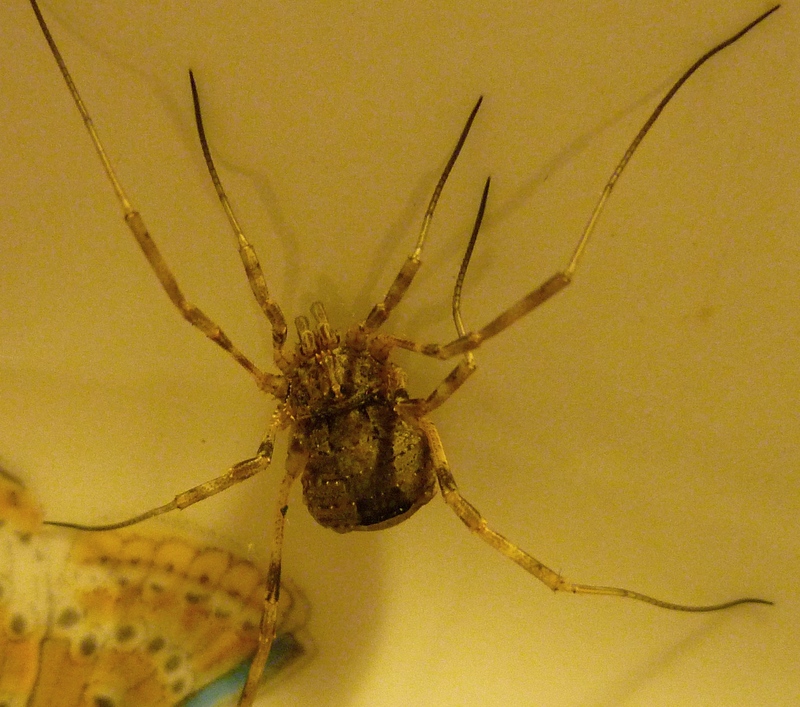 I took some pictures and then was able to detach the unlucky fellow from the tape without him loosing any legs. 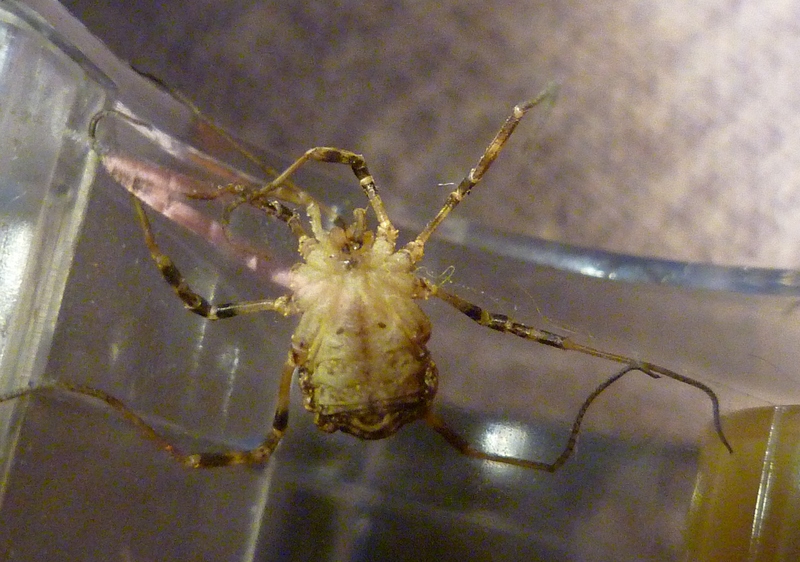 This species is one of the largest harvestmen in our regions, with a broad and flat body that can reach a length of 7 to 9,5 mm. It is well recognizable by the large trident, which has around the same dimensions as the eye hill. The species is actually believed not to be thát rare, but simply not found so often. Probably it is very well capable of hiding itself during daytime, because they can be found quite abundantly in pitfall traps placed in gardens. Unfortunately I was not able to make good pictures because it was still dark and I had to leave for work. But anyway a few pics to show the situation. If you’d like to see some truly splendid photos of Odiellus spinosus, have a look here.